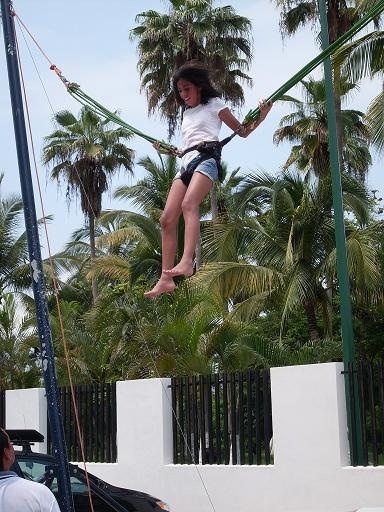 Experience the feeling of flying and perfect your aerial acrobatics at Dreams Villamagna Resort & Spa. 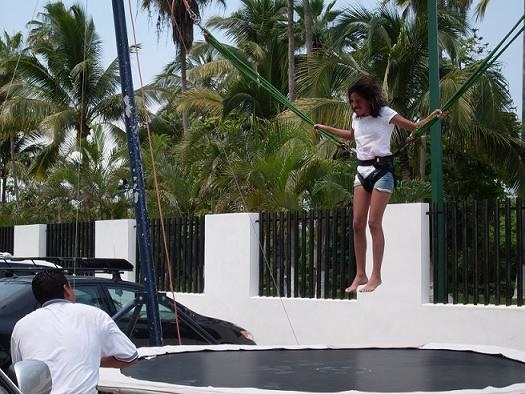 The resort’s Euro Bungee allows adults and kids alike to safely fly in the air and catch a bird’s eye view of the resort. Check out these adorable photos of some of our younger guests enjoying the Euro Bungee. Have you ever experience a Euro Bungee? If so, how many front flips can you do in a row? ← A Bike Tour that Includes Tigers? Sweet! Glad it IS there! I’d heard it wasn’t working or something.